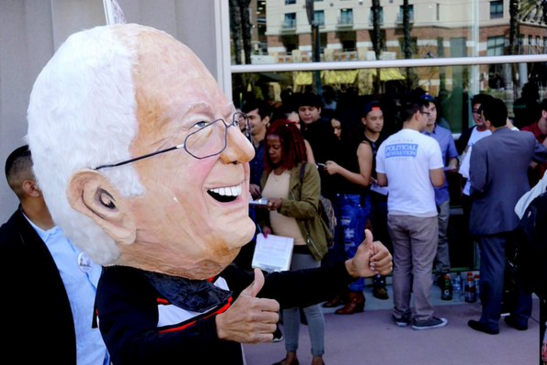 Democratic presidential candidate Bernie Sanders held a campaign rally in San Diego, Calif. on Tuesday. 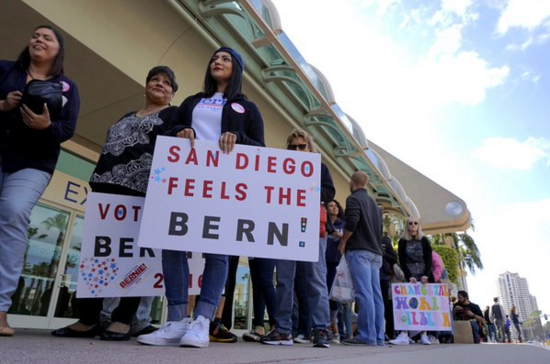 An estimated 30,000 people showed up to the San Diego Convention Center for the event, as the line to get into the rally backed up for miles and wrapped all the way around the bay. 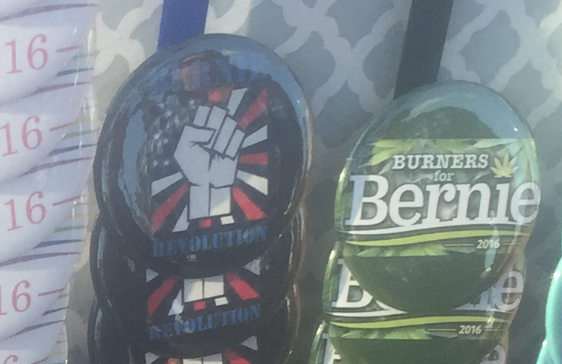 The majority of attendees were millennials, sporting signs, shirts, and buttons with phrases like "San Diego Feels the Bern,” "Bernie Trumps Hillary," and even “Burners for Bernie." Overwhelmed by the large supporter turnout, officials at the San Diego Convention Center had to open two overflow rooms with audio and video in addition to the main hall that holds over 10,000 seats. Both overflow rooms were filled nearly a full two hours before Sanders took the main stage. The Vermont senator addressed his supporters on Tuesday around 8:30 PM Pacific time as the polls closed in Arizona, Idaho, and Utah. Sanders took both Idaho and Utah, meanwhile his rival Hillary Clinton won Arizona, a winner-take-all state, allowing her to maintain her lead of more than 700 delegates in the race for the Democratic Party's presidential nomination. Confident in his prospects of winning Utah and Idaho, Sanders said during his speech Tuesday night, "When we began this campaign, we were considered a fringe candidacy... Well, 10 months later, we have now won 10 primaries and caucuses. And, unless I'm very mistaken, we're gonna win a couple more tonight." Sanders' campaign projects a strong performance during Saturday's trio of caucuses in Washington, Alaska, and Hawaii. 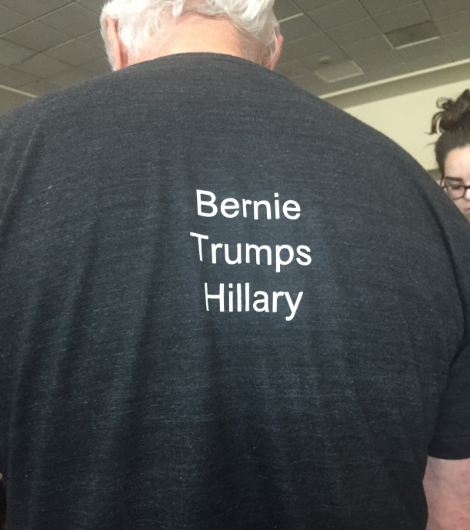 He also hopes to do well in California's presidential primary election on June 7.